Jeff came to us all the way from Pittsburg. He is a story board artist for many major motion pictures. Being in a very competitive market he wanted to look his best. The results here are actually from only one MAXHARVEST™ procedure. Jeff just flew in for a second procedure and we'll post the results when we have an update. You might be wondering why he would want a second procedure. He joins Great Hair Transplant's unique club of "Hair Junkies". Our hair junkies love their fullness so much they just want MORE because they can! Stay tuned for Jeff's update which should be "COMING SOON in January 2013"! Jeff is from Pittsburg and he is here for his second procedure. Dr. Brett Bolton is looking at his suture line from the last procedure. It is nearly undetectable and his results are amazing. Jeff has become another Great Hair Transplants Hair Junky. 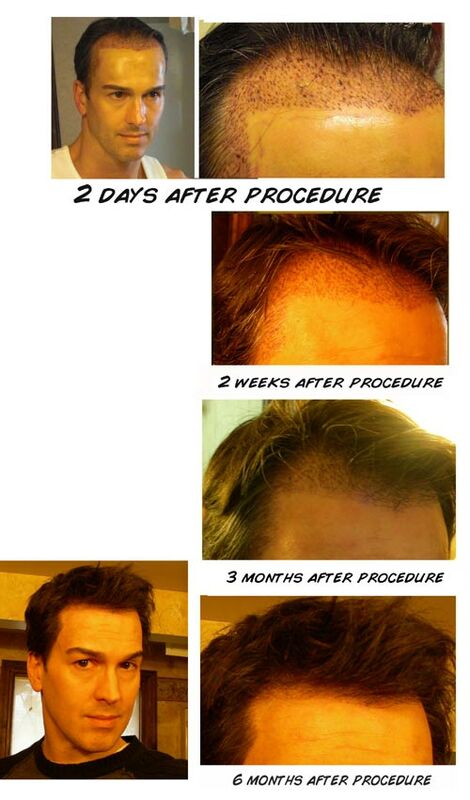 He loved the results of his first surgery so much that he decided to have a second hair transplant. Watch this video to see Jeff's surgery from beginning to end.